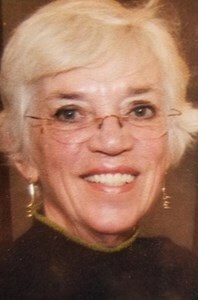 Carol Plummer, Overland Park Kansas died March 21,2019. She was born in St. Paul, Minnesota raised in Desoto, Kansas and lived in Overland Park most of her life. Carol was a devoted mother and loving wife, enjoying cooking, traveling and gardening. She was a gregarious person. She had an amazing green thumb becoming a Master Gardner and a member of the local garden club. She was a great cook, trying new recipes and one of her greatest joys was when one of her sons called her for a recipe. Carol never met a stranger, and if we were out in public and lost track of her, she was meeting someone new and making friends. Carol is survived by her husband of 60 years, Clarence and her children Lisa (Don) Stoppenbach, Lance (Leslie) Plummer and Steven (Karen) Plummer. Surviving Grandchildren include Zach, Ryan, Rees and Gage Plummer. In lieu of flowers please plant a plant send donations to your local Botanical Garden or your favorite charity. To leave a special message for Carol's family please use the "share memories"